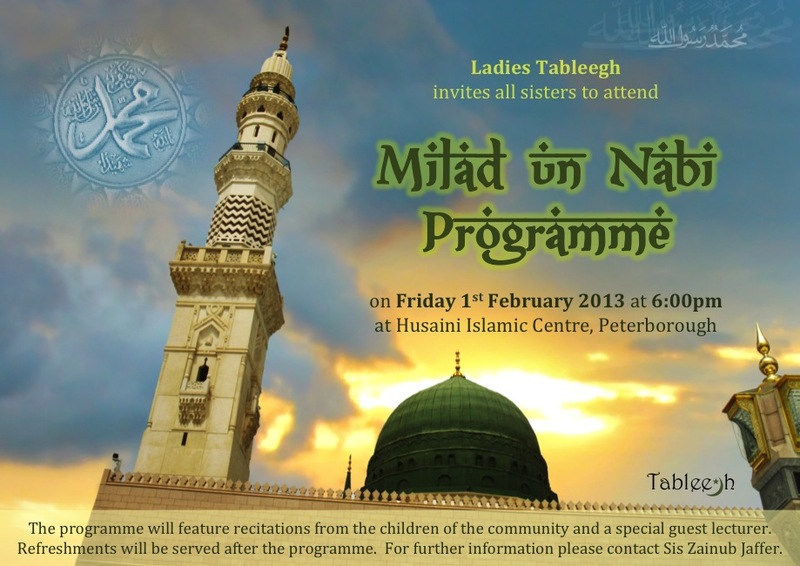 The Ladies Tableegh Committee invites all ladies and girls to attend a special Milad un Nabi programme, Insha Allah to take place on Friday 1st February 2013 from 6:00pm at the Husaini Islamic Centre, Peterborough (see poster). 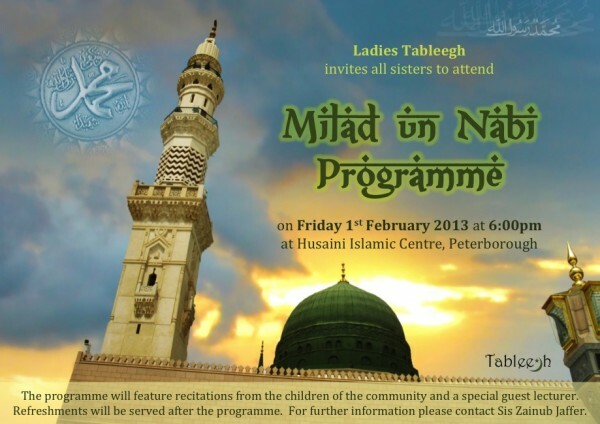 The programme will include recitations from the young children of the community and a guest lecturer. 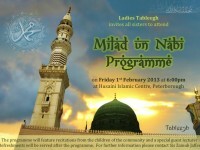 Refreshments will be served after the programme. 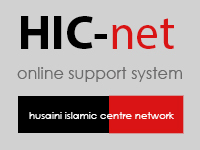 For further information, please contact Sis. Zainub Jaffer.